I’ve had some time to play around with my new Kindle 3 and to read what other users are saying so now I’m ready to publish this follow up with some of the information I’ve recently gathered of forgot to publish before. Original Kindle 3 review (July, 29th)В – largely based on official Amazon press release, other online sources and personal speculations. Kindle 3 review round-up from online media (August, 6th) – summary of opinions from sources like CNET, PCWorld etc. Kindle 3 review (August, 28th) – my personal hand-on review of the device with battery life estimations, screen contrast comparison, partial disassembly and other useful bits of information. One thing I would like to mention specifically is the weight. I weighted the device on a digital scale it showed 8.2 oz. 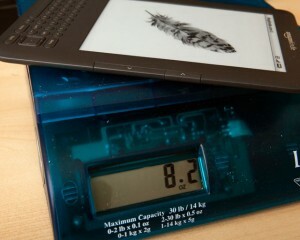 At first I though that my scale was off but then reports and pictures started surfacing on forums indicating that Kindle 3G + WiFi weights as low as 8.1 oz and Kindle WiFi as low as 7.8 oz. Official Amazon specs indicate 8.7 oz for 3G + WiFi and 8.2 oz for WiFi only version. Kindle 3 runs software version 3.0 (515460094) and has serial number starting with B006 marking it as new hardware series. No surprise there. In the past Amazon has stopped updating 1. * firmware for first generation Kindles once Kindle 2 came out. Hopefully this is not going to be the case with Kindle software 2. * despite the fact that apparently Kindle 3 will clearly outsell Kindle 2 soon enough (more on that later). Device password. You can set a password that will be required to use the device every time it’s turned on. Without the password it’s impossible to access Kindle UI or Kindle USB drive. It’s pretty useful if you keep sensitive work related documents on your Kindle. In case you forget your password, it is possible to completely reset the device deleting all stored information in the process. Manually setting device time. Previously Kindle relied on time information from 3G wireless network. Now you can manually set Kindle clock if you have WiFi-only version, don’t have wireless coverage or live on a different time than your GSM provider. Kindle 3 finally got a font with broader range of Unicode characters. These include Cyrillic, Simplified and Traditional Chinese, Korean and Japanese. I’ve done some quick tests and to me it looks like characters are there. However I didn’t do a full scale test of all possible characters from these planes. Some people on forums and in comments complained about poor support of Chinese and Korean but so far there has been little specifics. There were some claims that non-Latin characters display the same in all typefaces. I’ve verified it and it does seem to be true for Asian characters and definitely not true for Cyrillic. Here are some screenshots showing different typefaces in Russian text. By the way, good way to download and format Unicode text files so that paragraph breaks would display properly and lines will not needlessly wrap is eBook Text Formatter tool that I’ve created a while ago. It still works great. 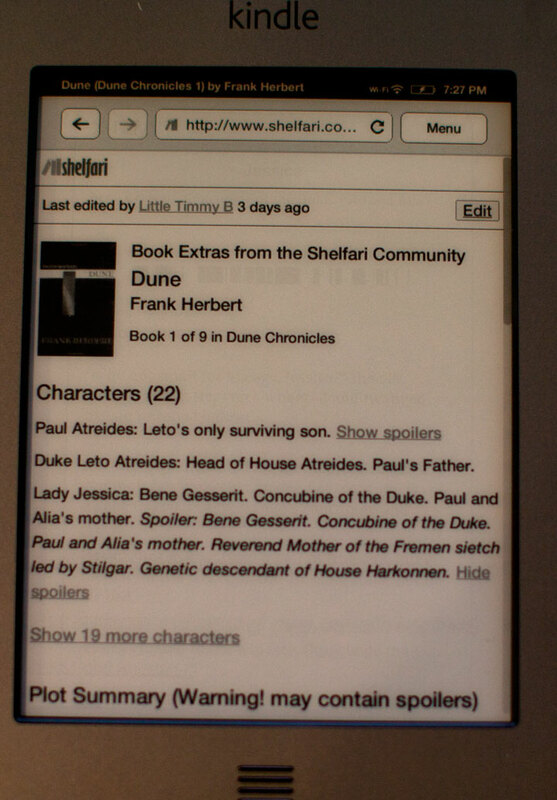 New web-browser in Kindle 3 is great. It can event load and run desktop AJAX version of Gmail (however using mobile version at https://m.gmail.com/ is still recommended as it’s much faster). Some users reported problems with browser or apps. Kindle software would occasionally crash. It is generally believed that it’s caused by background indexing process running alongside browser. Whenever new book, text file or document is downloaded to Kindle, it is indexed to provide almost instantaneous search results. This process is resource intensive and may conflict with web-browser or word game applications that are available for Kindle. Therefore it is recommended to refrain from browsing while Kindle indexes new books. Usually this process is completed within minutes of downloading a book or a document. If you download hundreds of books at once it may take hours and seriously drain your battery. 75% overnight battery drain has been reported after downloading 100+ books. In case your Kindle browser stops working completely (“launch browser” button does nothing or causes a crash), restarting your Kindle will fix this problem. To restart your Kindle press “Home”, “Menu”, select “Settings”, press “Menu” and select “Restart”. In case this doesn’t work, holding the power button for 30 seconds and then releasing it does the trick. Please note that Kindle will not restart while you are holding the button. You need to press the button, slowly count to 30 and then release it. Within several seconds your Kindle will reboot. For some reason there were no user reviews for Kindle 3 on Amazon website until Saturday afternoon. Perhaps they were held in the pipeline for some reason. Now that reviews are finally in, you can check them out here. 3 people seemed to have received defective devices. I can understand how this can lead to a bad review, however every device has a potential of being defective. When I started building servers of the first batch of 8 HDDs from a major manufacturer 3 failed within 24 hours of stress testing. Bad luck, I guess because since I replaced these 3 and installed dozens more like them I’m yet to see a single hard drive fail. So given the overall volume of Kindles shipped, 3 reviews about defective devices is pretty good. One reviewer was extremely unhappy with quality of Korean font glyphs. 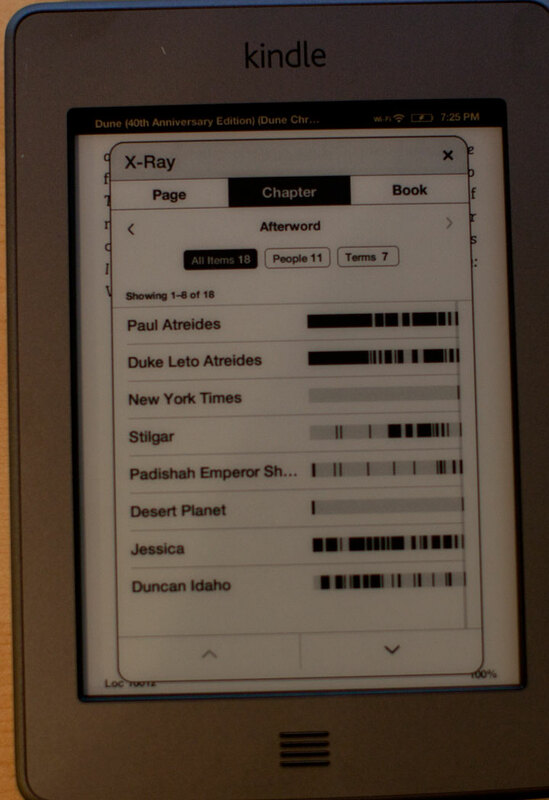 Kindle 3 Unicode support is something that I want to investigate further. I’ll definitely report on it once I have the full story. There is one bad Kindle 3 review dealing with new smaller buttons. Personally I liked Kindle 2 buttons more as well. New controller layout takes getting used to and judging by scarcity of negative reviews, benefits like WiFi and better screen greatly outweigh discomfort from smaller buttons. By the way there is a good old trick for reading from Kindle without having to use buttons at all: start text-to-speech, adjust the speech speed to your reading speed and then mute the volume. Pages will flip automatically. Final bad Kindle 3 review has something to do with the way user set up his/her account rather than with the device itself so I’ll not comment on it. Improved screen contrast and fonts is the second biggest thing mentioned in positive reviews. People love new low $189 price point of Kindle 3G + WiFi and $139 of Kindle WiFi. 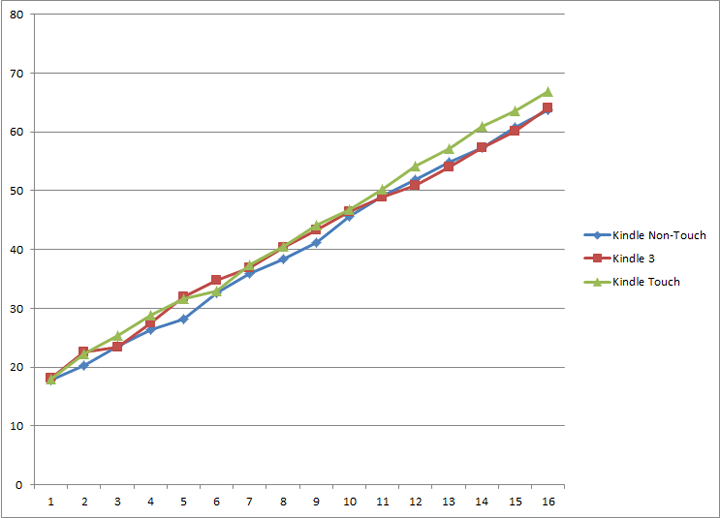 In the future I’ll do a more detailed analysis of positive reviews and publish the stats here. (NASDAQ: AMZN)в_”Amazon.com today announced that more new generation Kindles were ordered in the first four weeks of availability than in the same timeframe following any other Kindle launch, making the new Kindles the fastest-selling ever. 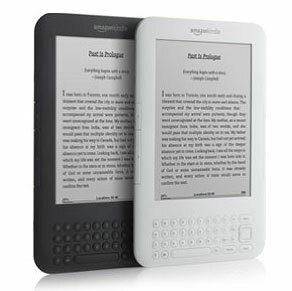 In addition, in the four weeks since the introduction of the new Kindle and Kindle 3G, customers ordered more Kindles on Amazon.com and Amazon.co.uk combined than any other product, continuing Kindleв_Ts over two-year run as the bestselling product across all the products sold on Amazon.com. In the summer and amid slowing economy Kindle 3 was able to beat international Kindle 2 launch that was tied to the holiday shopping season last year. This is quite impressive but not surprising when one considers improved specs and features, price that got slashed in half and amount of customer awareness generated by previous launches. Update: Since Kindle 3 is released and I got some hands on experience with it, you should check out this Kindle 3 Review and this follow up post for more up to date information. Since the original Kindle 3 release announcement I had some to carefully examine all of the news and press releases and compile this comprehensive Kindle 3 Review. Although Kindle 3 rumors have been circulating for some time, Fall 2010 was the widely anticipated release date. Rumors intensified when Kindle 2 became sold out on Amazon.com one day prior to the official announcement that came on July 28th, 2010. 3rd generation Kindle comes with the same next generation eInk Pearl screen that is found in recently released Kindle DX Graphite but in 6″ form factor. The screen features the same 600×800 resolution with 16 shades of gray. Partially due to new screen technology and partially due to a software update, new Kindle will feature 20% faster page turns than the 2nd generation Kindle. This means that I can finally stop updating Kindle Unicode Font Hack that with time and numerous Kindle software and hardware update has become a conundrum of patches, jailbreaks and uninstallers. It also means that I would be able to republish Kindle Russian Dictionary using native Cyrillic characters rather than transliteration. Since it will not be the only book published with non-Latin characters, the updated font will inevitable make their way to all other Kindle versions. Kindle 3 comes 21% smaller and 17% lighter than Kindle 2. You can select multiple eReaders (by holding the Ctrl key and clicking) from the list below to see how they compare by size. As you can see, Kindle 3 is smaller than Kindle 2 but slightly larger than nook or Sony PRS-600. Both of these readers however lack keyboard that allows them to be more compact. PRS-300 is smaller still but it has a smaller 5″ reading area too so it wouldn’t really be a fair comparison. This reduction in size didn’t come free though. Paging buttons are much smaller than they used to be and numerical keyboard row is merged with the top letter row the same way as it is on Kindle DX. Starting from 2nd generation Kindle Amazon has eliminated external memory card storage in their eReaders. Kindle 3 is no exception. 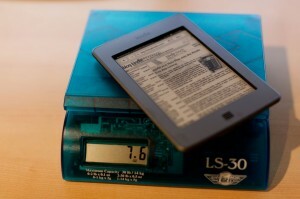 Internal flash memory size has doubled compared to Kindle 2. Now entire line-up of Kindle readers features 4GB of internal flash memory for storing books. Not that it really matters: even without global 3G connectivity 2 gigabytes of text will take a very-very long while for anyone to read even with 20% faster page turns. 3G connectivity pretty much eliminates the need for large internal storage altogether barring the scenario of solo around the world sailboat trip. So far WiFi has been a feature exclusive to Barnes&Noble nook until now. New Kindle will automatically take advantage of 3G WiFi hotspots if they are found nearby. This would provide faster download speeds, ability to download books in places without AT&T coverage and save Amazon money. Amazon used to pay $0.15 per megabyte downloaded to Sprint (and probably still pays similar amount to AT&T). I’m almost positive that it would be possible to configure Kindle to connect to any other wireless network – open or encrypted (provided you know the credentials). There is a Wi-Fi only version. It is $50 cheaper and 0.2oz lighter. Personally I would prefer to pay $50 upfront for the convenience of being able to download books almost anywhere hassle free and automatically getting my periodicals without having to manually power-manage the WiFi or worrying about finding a hotspot. It should be possible to use Kindle WiFi together with Android phone (like Sprint EVO 4G) or any other device that acts as a mobile hotspot. Any way you look at it – WiFi is a welcome and long awaited addition to Kindle feature set. It looks like Amazon has pushed the battery life even further. Previous versions of Kindle used to work 7 days with 3G on and “several weeks” with 3G off. In my personal experience “several weeks” was 1 month. Now Amazon officially states 1 month of battery life with wireless off. So perhaps it would be even longer in reality. 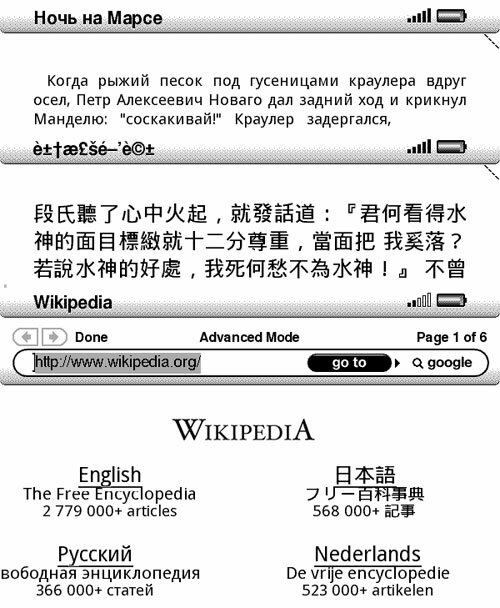 It was nice to be able to browser Wikipedia via 3G connection for free, but apart from that and running the Amazon Kindle Book store Kindle 2 experimental browser was hardly useful. The newest Kindle comes with new Webkit-based browser that hopefully would be more responsive and usable on websites with complex layouts. I own and actively use B&N nook and I can honestly say that nook browser is excellent. That being said I hardly ever use either Kindle or nook browser. 4″ smartphone screen offers much better browsing experience than 6″ eInk. 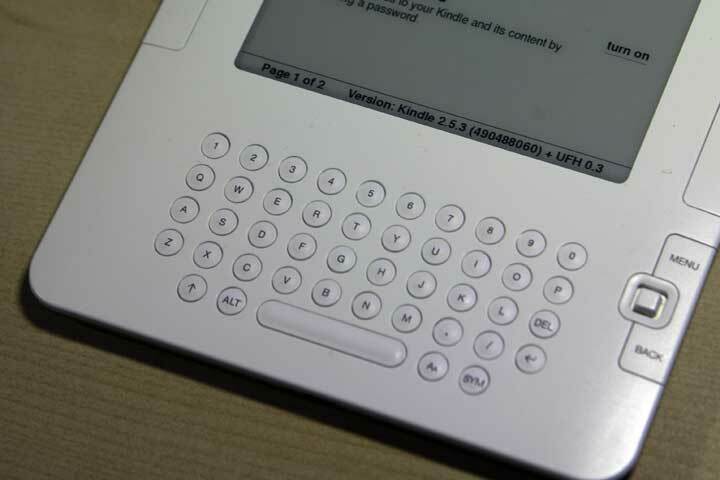 eBook reader were built for linear reading and in this eInk excels. Web-browsing is a very random non-linear process. In all likelihood 4″ screen despite it’s small size is going to contain less text than you are going to read before navigating to next page via some link. Another novel feature – is ‘browser article mode’. Kindle browser will use some experimental heuristics to eliminate everything but the main page text, distilling the web-page into something similar to newspaper article. With new release the list of supported formats didn’t change. AZW, TXT, PDF, PRC, MOBI, JPEG, GIF, PNG, BMP are natively supported. DOC, DOCX, RTF and HTML are supported via online conversion tool. This list may not be final since new formats (hopefully someday EPUB too) can be added via software update as was the case with PDF support on Kindle 2. 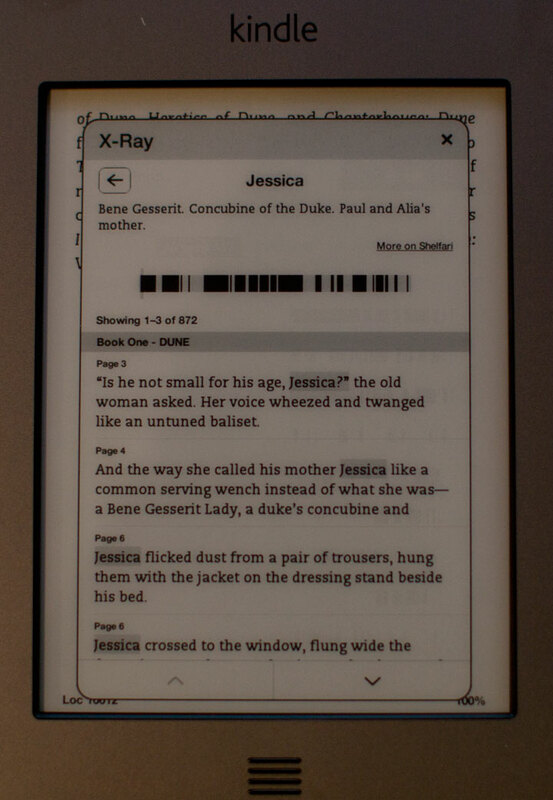 The latest Kindle offers the same level of PDF support as Kindle DX Graphite. You can pan and zoom PDF files, annotate them and do dictionary lookups. On top of all this Kindle 3 gets voice-accessible menus and microphone. Voice accessible menus (Kindle will read aloud all menu items) along with text-to-speech should take make Kindle a fully accessible device that can be used in a classroom. As for the microphone. It is there but it is not mentioned in official specification. Therefore it’s reserved for a future use. Most likely it will enable adding voice notes or recording classroom sessions. Some reviewers have speculated on voice-activated page turns and hands-free reading but I personally find such scenarios unlikely. Social features like Facebook and Twitter integration and sharing favorite passages have carried over from previous Kindle versions. Personally I find “favorite passages” to be the most useful feature. It really adds to the book reading experience and is not intrusive. I have to confess that I selfishly use this feature while not highlighting any passages myself. 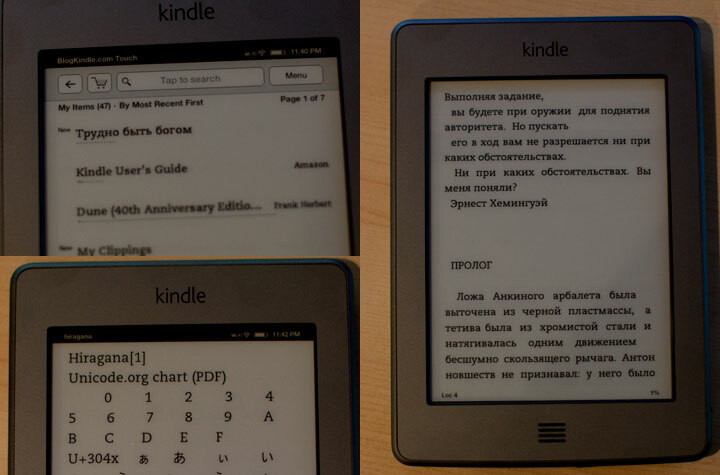 Should you buy Kindle 3? If you love reading – Hell, yeah! It’s shaping up to be the best eReader as far a features to price ratio is concerned. Amazon has been developing eBook Readers for years now and each product they release is better that the ones before (which were good to begin with). Personally I already pre-ordered mine so you are sure to see a hands on review soon after I receive it. As the image above implies I’ve updated the hack to work with the most recent versions of Kindle software: 2.5.2 and 2.5.3. The instructions and updated links can be found here: Kindle Unicode Font Hack. I tested the hack with Kindle 2 US, Kindle 2 International and Kindle DX. Unfortunately I don’t have Kindle DX International to test it on but I see no reason why it would be any different there. I was away from home for extended period of time without access to a machine that I could rebuild UFH packages for the newly released International version of Kindle DX. Fortunately one of blog subscribers did. I’ve uploaded updated hack binaries to the Unicode font hack page. This updated version of Kindle Unicode Fonts Hack works on all versions of Kindle software including the most recent 2.3 and installs on Kindle 2 US, Kindle 2 International and Kindle DX. Visit the Kindle Unicode Fonts Hack page for detailed instructions. As you can see it seems that Kindle 2 got several updates soon after release and then there was silence. Early update rush was caused by bugs in the new software. One or two updates were caused by law suit (Text-to-speech, and Orwell book deletion). However, note that none of the updates introduced new features. I guess Amazon sticks to the policy – don’t fix it if it ain’t broken. Kindle DX and Kindle international share most of the software with original Kindle so there is little room for new critical bugs. But most importantly, the number of Kindles in operation has exploded since the beginning of 2009. And this is probably the most important reason why we will not see many Kindle updates in the future and probably none of them will be feature driven. Amazon pays Sprint 12 cents per megabyte transferred. It would be safe to assume that Amazon gets similar pricing from AT&T for domestic traffic and a much higher price for data roaming. Average Kindle update is 2 megabytes in size. Because of the way Amazon structures the update packages, this accumulates as each subsequent update includes all previous updates as well. So first update was 2 megs, second one was 4, third – 6, etc. Given these numbers I don’t believe that Amazon would release update unless they have a very strong reason to do so. Strong reason being a court order or something else of this sort. This more or less addresses they questions of where Amazon will add folders, PDF support for Kindle 2 or official Unicode fonts for that matter via an update. The answer is a definite NO. On the issue of fonts I’m most sure since Unicode fonts in the updates that I use (that add only partial support without all of the font styles) are 1.5..3 megabytes. Proper Unicode support can easily add up to 10 megabytes. So this would mean millions of dollars spent with potential to spend more millions in the future and near zero return of investment since although many people would like to have this feature, for most of them it’s not a deal-breaker (especially since on Kindle DX you can have any kind of fonts via PDF files). The few books that have non-Latin characters that Amazon sells use Topaz format to embed the extra glyphs that they need. So adding Unicode fonts would help customers read books that Amazon doesn’t sell. In this light the question about Unicode fonts via an update for existing devices is a no-brainer. It is possible that this support would be included in Kindle 3 or whatever else the next generation Kindle will be called since in this case the cost for Amazon is just licencing fee for the fonts. Unicode Font Hack v0.2, now for Kindle International too! I’ve create Unicode Font Hack that also works on Kindle 2 International. I’ve also reorganized the files to minimize download times. Each device/font combination can now be downloaded as separate file. That file would contain only update binaries. Source code for all binaries can be downloaded separately. I’ve updated the hack page accordingly. You can find instructions as well as more detailed information there. Removed browser only hack since it didn’t add much value – if you still want it you’ll need to build it from the sources yourself. Changed the uninstaller so that it removes extra font files completely as some of you have requested this feature. Since droid hack uses the same font, rather than making multiple copies I’m using symlinks now so the hack uses less disk space on Kindle. Liberation fonts. These fonts come from RedHat linux and are open-source. Personally I don’t find them as nice as droid. It doesn’t support Asian characters. However it does support all 3 font styles – serif, sans serif and mono-spaced. Connect your Kindle to PC via the USB cable. Copy it to the root directory of your Kindle. Press Home. Press Menu. Select Settings. Press Menu. Select Update Your Kindle. Select OK. The update WILL fail. This is expected. However from now on you will be able to install custom Kindle updates. Copy update package that corresponds to your device to to the root directory of your Kindle. The update will install, Kindle will restart and when it does – new fonts are going to be in effect. Please not that for International Kindle it will take some time before the installation progress bar moves as font files are large and it takes a long time for Kindle to verify the update signature. Download and copy uninstall package that corresponds to your device to to the root directory of your Kindle. The update will install, Kindle will restart and when it does – old fonts will be used and there will be no trace of the hack in the Kindle file system. So official updates will install once again. If you would like to customize the fonts – you can do so by downloading the hack sources and modifying them. I have to warn you that this is risky business though. It may be a good idea to install the antibrick hack before you proceed. I’ve published the script that I’ve been using personally for quite some time to make plain text files that were preformatted to specific page width nicely reflowable on Kindle and other eBook readers (I’ve tested it with Sony PRS-505). It can also strip any HTML tags and convert between character encodings. This should make downloading books from websites like lib.ru and gutenberg.org easier for some for some people. More information about how to use the tool as well as download link can be found here. I’ve also created a summary page for all Kindle hacks and tools that I currently know of. Feel free to let me know if some information needs to be added to updated.